Responding to industry demand, Hy-Lite has introduced an operable awning window in its popular Home Designer Collection of decorative glass windows. The windows, which come in an opening size of 52" x 16", are now available in the Mission and Prairie styles in the collection. "The continued trend by builders and homeowners toward incorporating 4' x 1' windows into homes has driven us to offer the Mission and Prairie windows in an operable style," according to Roger Murphy, president of Hy-Lite, a U.S. Block Windows Company. 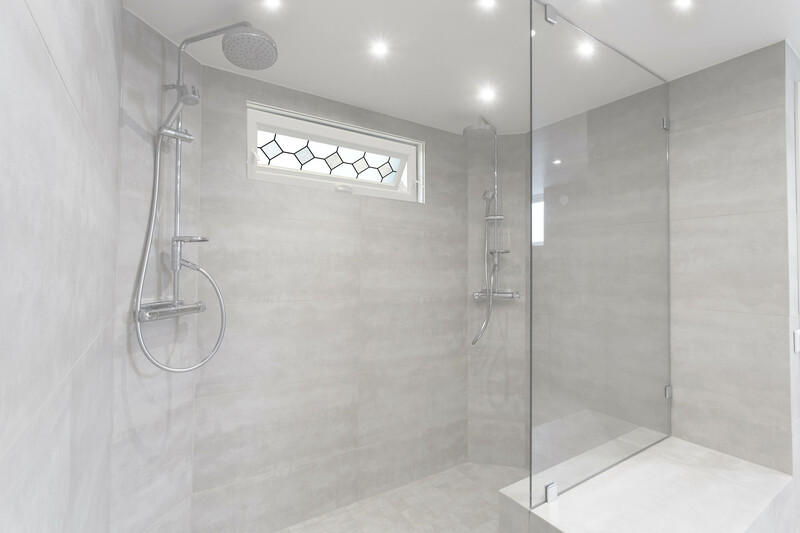 "We've seen these transom-sized windows used in showers, hallways and entryways. The popularity of the size, matched with the continued demand for simplistic glass styles, has motivated us to introduce this new awning style for the Prairie and Mission windows." The new operable awning windows are available with white, tan and driftwood vinyl frames. Each window features coordinating screens, latches, fold-down handles and anti-corrosion hardware. Inspired by designers across the country, the Home Designer Collection features four unique privacy windows: Metro, Mission, Prairie and Baroque. Available in a wide range of sizes, starting with 24" x 24" and going to as large as 48" x 48", the design styles solve the need for privacy, light and design appeal in the home. "The fixed Prairie 4' x 1' window with a white frame was our most popular selling decorative glass window of 2017," says Murphy. "The clean, simple lines remain in high demand, as does the elongated size that works well in small spaces. "Offering an awning style window in the Prairie and Mission styles now allows people to bring fresh air into the home while maximizing their space and decor." A true Craftsman-inspired design, the Mission window is constructed with silkscreened tempered privacy glass and clear diamond shapes on the interior. The fixed unit is finished with textured privacy glass on the exterior. Simple and elegant, the Prairie design is versatile enough to complement a variety of home styles from traditional to contemporary. Also created with silkscreened tempered privacy glass and clear lines on the interior and finished with textured privacy glass on the exterior, this window style works well in any room in the home.